Can your waistline survive the holidays? Tips on how to stand the test of the holiday season and maintain your health. The holiday season is around the corner. It's a time of celebration and tradition, abundance and indulgence. Teeming with tasty temptations, the holidays can present challenges to anyone trying to maintain healthy habits. It’s hard to believe, but an average Thanksgiving meal equals about 3,000 calories and 229 grams of fat! A 160 lb. person would have to walk 30 miles to burn off a 3,000 calorie meal. Snacking throughout the day can add on another 1500 calories for a total caloric intake of 4,500! While it’s estimated that the average American puts on only one pound from Thanksgiving to New Year’s Day, this is weight that typically sticks around and adds up year after year. Is there a way to stay fit and still enjoy the turkey feast? The good news is that nutrition experts agree that holiday foods can easily fit into a healthy diet - if eaten in moderation and balanced with a commitment to a regular fitness regimen. Create and stick to a plan. Set simple, specific goals at the beginning of the season and monitor yourself. Identify potential problems and challenges. Recognize and anticipate your weaknesses by carefully planning what you will allow yourself to eat. Stick to a firm workout schedule. Make physical activity a regular habit. 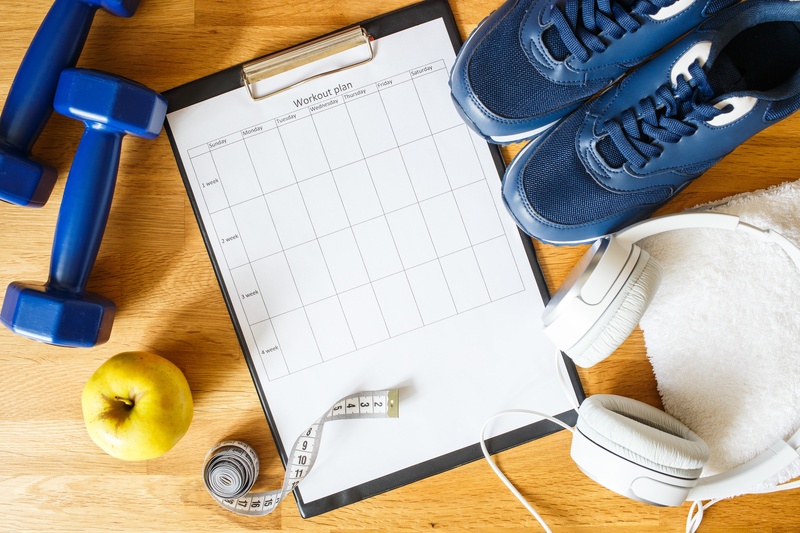 Beyond burning calories, exercise is essential for good health, stress management (often a challenge during the holiday season) and overall well-being. Working out consistently will help jump-start your metabolism, allowing you to burn more of the holiday calories. Never skip regular meals, just limit them. If you are going to an evening festivity, eat a lighter, low-fat breakfast and lunch and a high-fiber afternoon snack to avoid going to a party starving. Practice mindfulness. Before you heap food on your plate, scan the buffet, and choose carefully. Try only those foods that come around once a year. For example, skip the mundane chips and dip and go for a small serving of pumpkin pie instead. Another strategy is to put yourself a safe distance away from the buffet, eat slowly and be more aware of when you’re full before going back for seconds. Practice portion control. The bigger the plate, the more people tend to eat. Opt for a smaller plate and know your serving sizes. Keep things in perspective by identifying your own reasons for staying on track and repeat it like a mantra! Keep a food diary. It’s a better way to accurately assess your intake. If you’ve over-indulged, you can make up for it with lighter, lower-fat meals for the next couple of days. Be vigilant and remind yourself of the goals you set in your plan. Never leave the house hungry. Grab a quick snack to stabilize blood sugar and assuage hunger. Carry power snacks, such as nuts or fruit when you go shopping or run errands. And always bring a water bottle to stay hydrated throughout the day. Beware of beverages. Holiday “cheer” has a tremendous number of empty calories. The same goes for sweetened non-alcoholic beverages. Choose sparkling water and no-sugar-added drinks. Don’t panic or feel guilty. When you balance your intake over several days, you have ample time to regain control. You DO have control over the choices you make. There is no failure, just lapses from which you will recover. Remember the spirit of the holidays is to gather with those you love, not to consume food. Be a social butterfly and head into parties with the mindset that you are seeking companionship, not calories! By taking the right steps at the beginning of the season, you can survive the holidays and avoid New Year’s weight loss resolutions in 2018! For more info on how to stay fit and healthy, visit www.judisamuels.com!